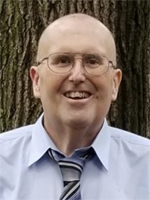 Arthur “Art” Lee Booth III, 60, passed away Sunday, January 20, 2019 at his home surrounded by his family. He was born in Wheeling, WV and had been a Peninsula resident for the past 32 years. He worked as a Designer with Newport News Shipbuilding since 1994, and was a member of Lebanon Christian Church. Art was preceded in death by his parents, Arthur Lee Booth, Jr. and Margaret Joanne Winslow Booth. He is survived by his wife, Barbara VanHorn Booth of Newport News; a daughter, Amanda Joy Booth of Newport News; a brother, Mark Booth (Carla) of Barboursville, WV; two nephews, Zachary and Chad Booth; and numerous extended family and friends. The family will receive friends from 6-8 p.m., Thursday, January 24, 2019 at Weymouth Funeral Home. A Funeral Service will be conducted at 12 Noon, Friday, January 25, 2019 at the Weymouth Funeral Home Chapel by the Rev. Dennis Worsham. The family will also receive friends 1 hour prior to the service. Entombment will be at Peninsula Memorial Park. In lieu of flowers, memorials may be made to the American Cancer Society. Arrangements are by Weymouth Funeral Home, 12746 Nettles Dr., Newport News, VA 23606.